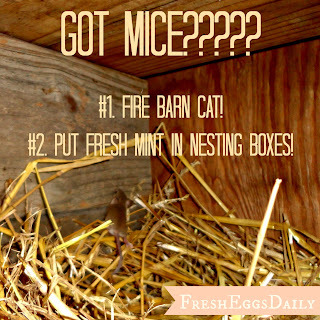 Not a Creature was Stirring - Got Mice in your Coop? This time of year critters of all kinds are looking for a nice safe, warm place to spend the winter. For many this can lead to field mice or rats in their coops. I mean, what better place for a family of mice to bed down? Soft bedding on the floor, a convenient food source, a water source, and if your coop is inside an enclosed run, safety from predators. Although chickens will sometimes kill and eat mice if they find them, once the chickens are asleep, the mice are free to come and go at will. Rodents will not only eat chicken feed and contaminate it with their droppings, they can carry fleas, ticks, mites and lice, will kill baby chicks, eat eggs, chew wires and wood, even chew on sleeping chickens' feet and pull out their feathers. 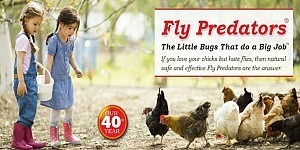 But using traps or poisons around the coop and run isn't smart, so why not try some natural rodent-repellents. 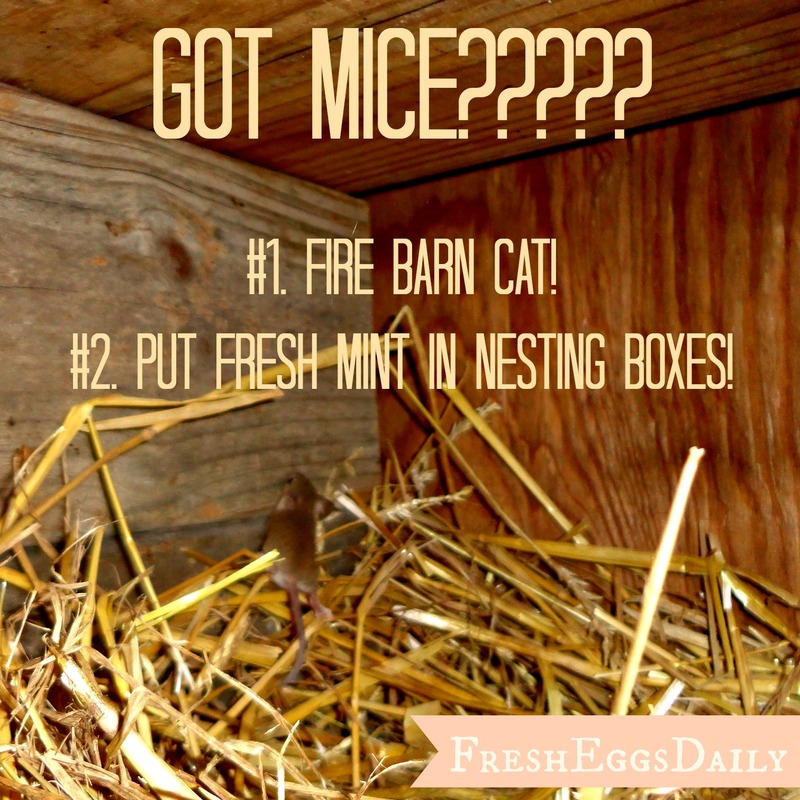 Why are mice in your coop so bad? 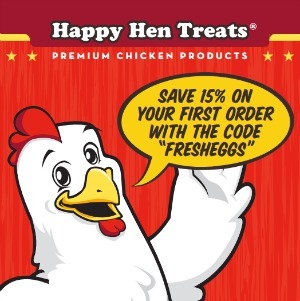 Chickens sleep extremely soundly and it's not unheard of for mice and rats to literally chew on chickens' feathers and feet, or pull out feathers to use for nest bedding while the hens sleep, so for this reason as well as the diseases and parasites rodents can carry, you certainly don't want mice in your coop! It's a good idea to 'listen' to your flock. The presence of rodents can stress them. 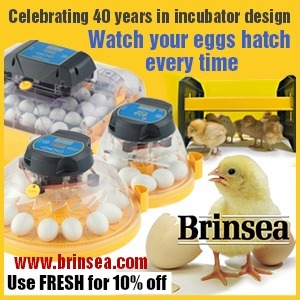 That can lead to a drop in egg production - rats will also steal eggs, another tipoff. 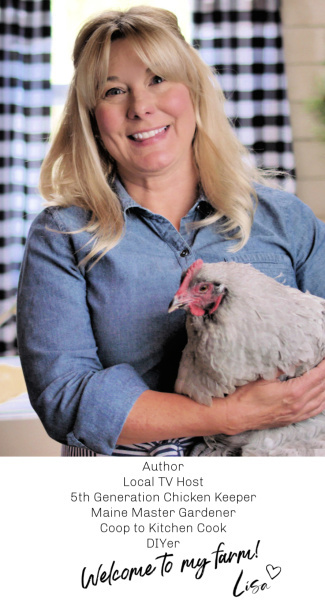 If all of a sudden your chickens seem to not want to go to roost in the coop at night, there's probably a good reason why not. Never force them in. Instead try and figure out why. Check the corners, raking the bedding away, and also check all the nesting boxes. 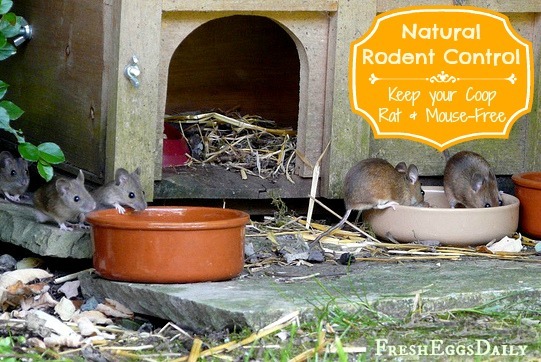 If you do find rodents (or evidence of rodents) there are a couple of things you can do. 1) No Openings Larger than 1/2" - Mice, as well as snakes and weasels, can get through a hole as small as one inch. 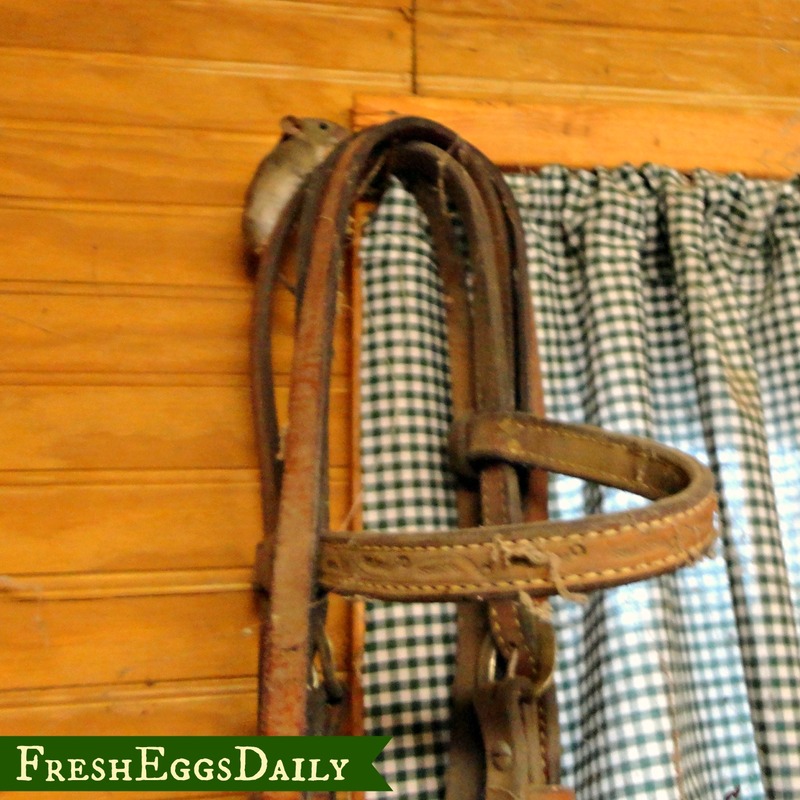 Staple 1/2" hardware cloth over all the windows and vents in your coop and be sure all other holes are plugged. You can't live in New England long before someone recommends putting peppermint oil-soaked cotton balls in your kitchen cabinets or car engine to keep mice from moving in for the winter. 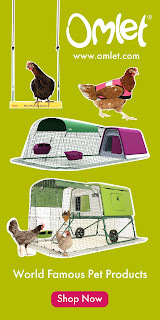 Why not try that same thing for your chicken coop? 3) Get a Barn Cat - Our cat does a great job of keeping our barn and chicken yard free of rodents. He doesn't generally have access to the run, but just his presence around the perimeter is a deterrent. 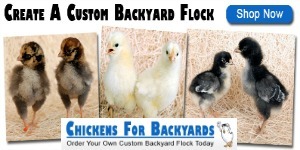 A dog can have the same effect if it spends time around your chicken yard. 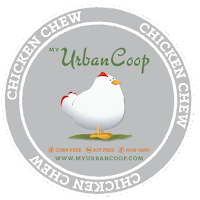 4) Don't Leave Feed in the Coop - Chickens can't see well in the dark anyway, so they don't eat at night. 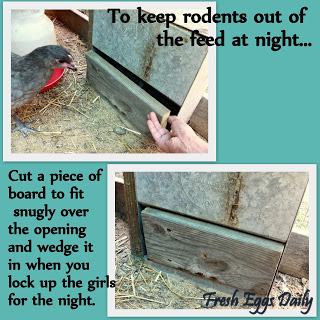 Remove the feed from the coop to remove rodents' food source, or cover the feeders to prevent access. 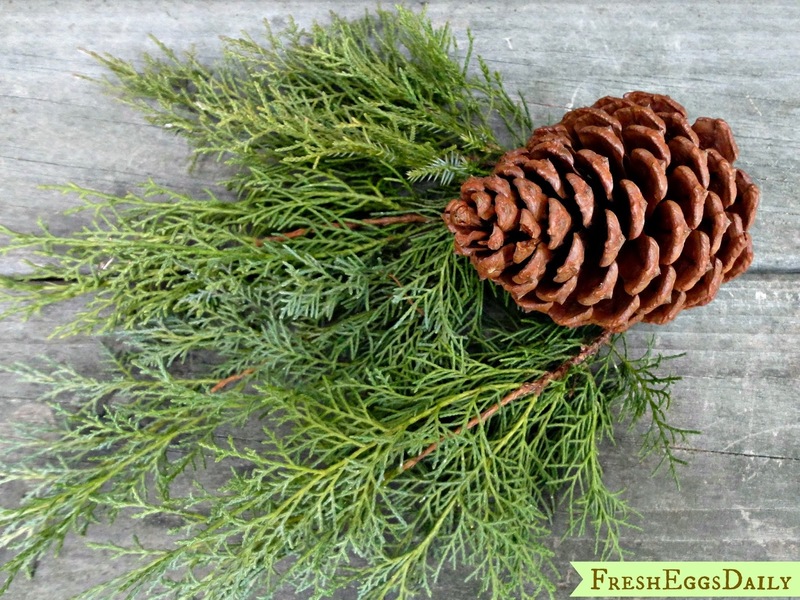 6) Use pine needles or shavings or put pine boughs in your coop - Rodents dislike the scent of pine. Pine boughs will be the most effective of course, but pine shavings might help mice decide they don't want to bed down on the floor. 7. Encourage black rat snakes. Although black snakes will eat eggs or baby chicks, they aren't venomous and generally won't bother grown hens and they eat mice. So seeing black snakes around is actually a good thing. 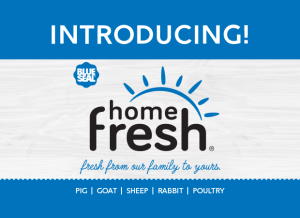 Making these few small changes can make your coop inhospitable for local rodents who hopefully will find another place to call home. Thank you for this interesting read. I only have 4 chickens and a small coop as they free range the whole day. They used to always go up to their roost at night without fail. All of a sudden 2 of them wanted to sleep on their outside roost, then the other 2 followed and now they have been sleeping outside for months. They are locked up so no rodents or snakes can come in so its not like they are out in the open. I thought it might be due to the weather getting hotter, we are in Australia and its summer atm. Any ideas? I'm sure there are no mice or mites in there. Great ideas! I had never heard that rodents don't like mint. We had some planted a ways from the coop, but next spring I think I'll put some plants closer. My girls preferred the lower tree branches when things started heating up. Once i put a small fan in the coop and made sure it was on at least an hour before bed, they returned to the coop at night. It was battery operated so I always kept if off during the day to prevent overheating. The girls free ranged the backyard and had plenty of cooler options, so I didn't worry about keeping it cool during the day. I would wonder if it makes a difference if it is peppermint , or spearmint ? 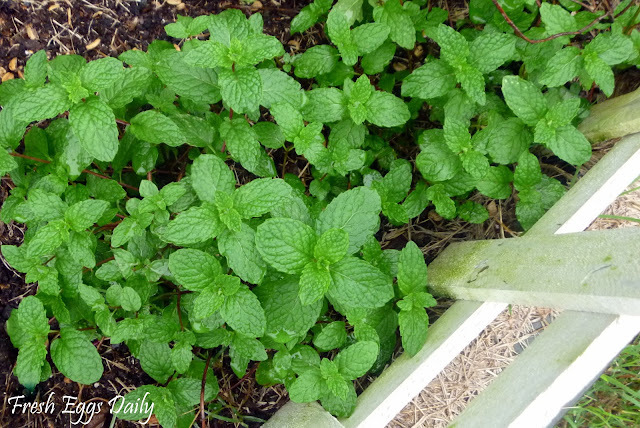 No difference at all, all kinds of mint including lemon balm. Mint has not affected my mice/vole population. I have a 4x8 foot bed of 8 different mints right in front of coop on other side of chicken wire. I see them hiding out in there! We have started using traps under wire the chickens can't get in. It is working well. We just finished our coop. Immediate definitely remember this! Love your blog! I look forward to following it. We plan to retire to my husband's old homeplace farm, that has a 100 year old farm house on it, in the next few years. Looks like I'll learn a lot about farm life from you! 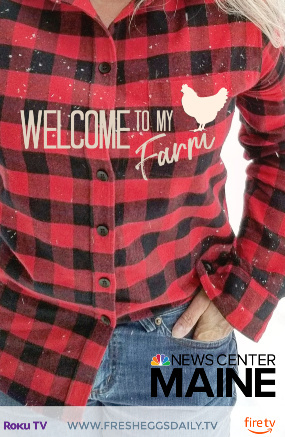 :) My husband farms the land already and loves it! Oh nice! That sounds wonderful. Thanks for following. I had a horrible problem with field rats last year. It was so bad that when we left in the mornings we would see about a dozen little faces watching us from under the steps. At night I would find 2 or 3 large rats in the coop looking for food or water and have killed more than one with a stick I began carrying with me, (because of the rats). I did everything I could to make things as inhospitable as possible to the rats without using poisons since my birds are free roamers during the day, but with a large nursery field connecting to my yard, all I managed to do is to lower the population every now and then. One day I noticed that there was random catnip plants growing around the coop area and I had also began noticing the rat and mouse issue was lessening. Today, I am rat and mouse free. I know my cats like to hunt voles, moles and mice, but are not too fond of hunting the larger rats. I am positive that the catnip is keeping them out and it will continue to be my plant of choice in the chicken and duck area. 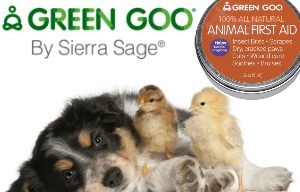 The best thing is I can dry some for my cats and it is one plant that the chickens and ducks do not tear apart and eat. So everyone benefits from it! Good to know...I wonder if catnip isn't part of the mint family. I am kind of thinking it is. 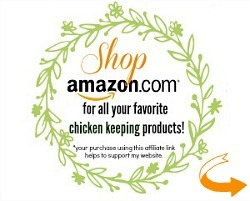 I am always so glad to find information like this because one day my boyfriend/fiance will get married and hopefully live somewhere we can have chickens and I know that I will need all the help I can get when it comes to raising them since I've never owned them before! I have a small barn with a dirt floor and have a horrible field mouse problem. After reading this, I will remove the chicken feeders (wish I had known earlier) and just feed the chickens every morning. 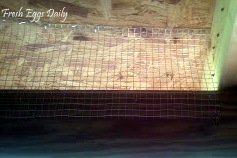 The mice are so tiny and they tunnel just under the ground and have chewed holes in one side of the barn, which I just finished re-paneling this weekend (see my blog for pictures). I do have a patch of lemon balm that I can cut and put in the barn. I'll give that a try. I have two cats that were supposed to be barn cats but they killed birds and bunnies so I brought them in to be house cats. Thanks for this information. I hope it helps my horrible mouse problem. How do the cats and chickens get along? Just fine. Our cat has never bothered them. I keep small chicks away from him, but once they are grown they co-exist in harmony. 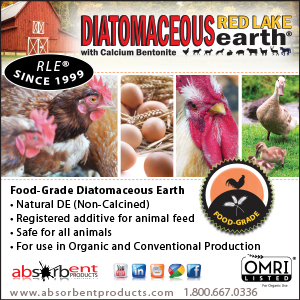 Be sure to worm your barn cats as they will contract worms for sure. The idea of not feeding cats to "make them hungry" is a myth. 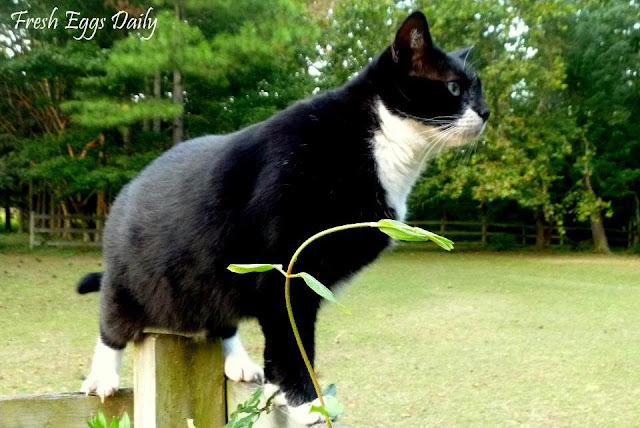 Cats hunt rodents instinctively and a cat who is healthier will have better success. 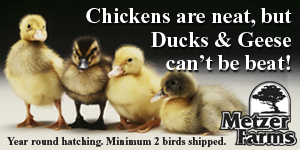 Please be sure to protect our wild birds from cat predation. Mice (voles are not mice! 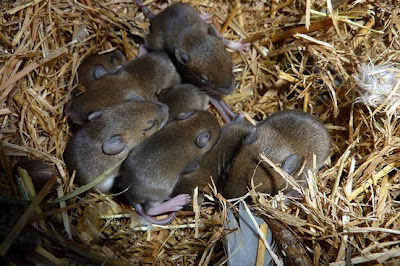 voles eat only insects so please do not harm voles) are a way of life. The best means of defense is to have a balanced ecosystem. 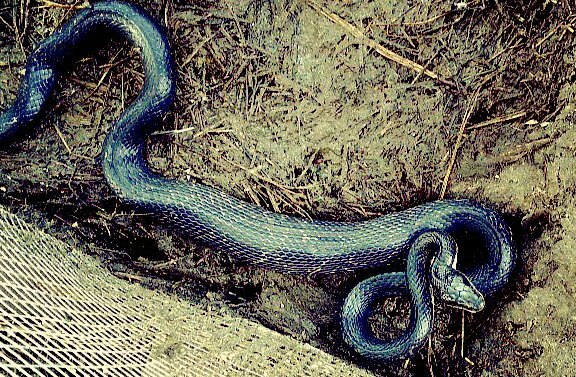 For example, DO NOT kill black snakes, milk snakes, or any snake for that matter. 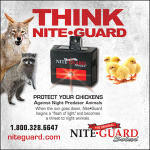 They are a farmers best friend for controlling rodent populations. My snakes are welcome to call the barn home. Yes a hungry cat won't have the energy to hunt. We feed our cat twice a day and he even sleeps in the house. He does sometimes catch a wild bird - not much to do about that sadly. We don't worm our cat - I don't unless I see evidence of worms. I don't beleive in administering medications unless there's a definitive need. Two questions. 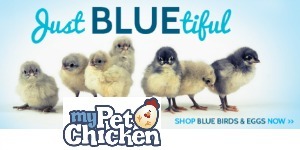 We would like to start raising chickens this spring. 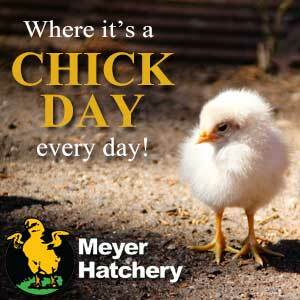 Do squirrels bother chickens? We have lots of squirrels. 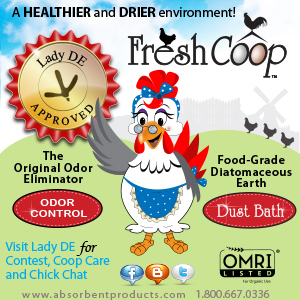 How large of a chicken coop do you need for 3 dozen chickens? We have squirrels here too and they get in the run occasionally through the top. They won't bother the chickens, although they will try and eat their feed- but our chickens chase them out of the run. 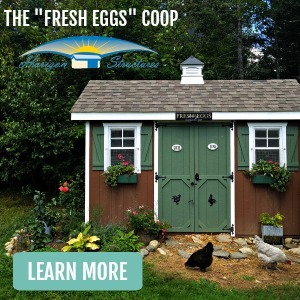 Rule of thumb for a coop, you should allow 3-5 square feet per hen, so for 36, you would be looking at a 144 square foot coop give or take - so roughly 10x14 or so. 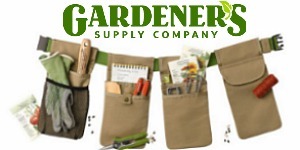 Sorry to be a pest, but would you tell me the ratio of Cayenne to Sulpher you recommend? Today's treat for the peepers---Rose Petal and Mint Popcicles--WooHoo! Oh I'm sorry, I saw your comment the other day I think and thought I had responded. I didn't measure, just sprinkled some in...I couldn't find anything that said exactly. Glad you're having fun!